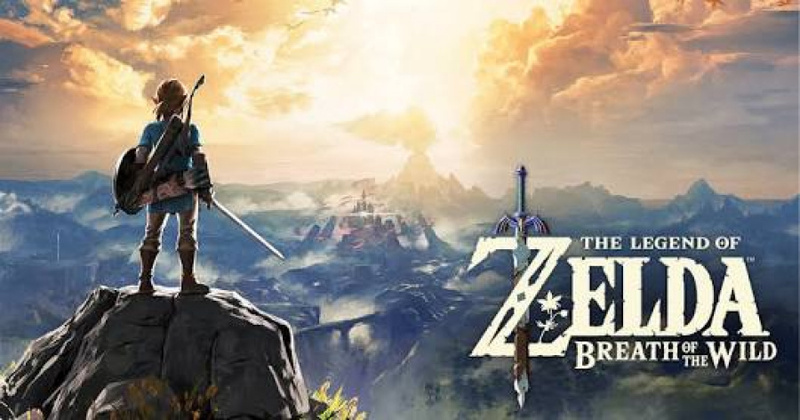 It’s no secret that Legend of Zelda: Breath of the Wild is one of the most critically acclaimed and commercially successful titles of the last few years, so it makes perfect sense that Nintendo would be right on the case with the next instalment. Proof has surfaced with Nintendo posting job listings on its website for design roles related to everything from dungeons and enemies to planning and implementation. What would you like to see from a new Zelda game? More dungeons, akin to Ocarina Of Time? Or would you like Nintendo to retain the approach seen in BotW? Cool! Can't wait for 2028 to play it! Should I just send Nintendo my wallet in advance? And how do you surmise that this means they have started to work on a new Zelda game? At its best, it is a big stretch to make that assumption with any real confidence. At its worst, it is clickbait. Didn't they say work already began at some point last year? Hyrule wasn't built in a day. @YummyHappyPills It is common to get more people on board as the development advances. I think they should stick to the open world concept in the new game (with most side content like shrines & side quests being available in any order), however, I think that the central story missions should play out in a mostly linear fashion (think Red Dead Redemption, where the world was open, but the core story missions were more or less linear). I would like to see more traditional dungeons, and I'd like the shrines to be a more organic part of the world (some could be carved out in caves, while others could actually be places of worship in the towns they're located in). Breaking weapons needs to stop being a thing too. @Devlind I responded to this article acting as if this was not already made known by Nintendo. I know how Game Development works having studied it. I thought they began development last year. At any rate we all know as soon as one Zelda ends another begins. That doesn't mean we'll see this one before 2022 though. @YummyHappyPills Cool. Have you made any game? Can we play it? I'd like another top-down Zelda game sometime in the relatively near future, maybe in 2019. As for the next main installment, I would like it to be a bit more focused than Breath of the Wild. Maybe a world map that's a fourth of the size of Breath of the Wild, but more densely packed with interesting things to do. Yes, more dungeons with different themes, as well. It makes the most sense to reuse the Breath of the Wild engine, but rather than taking the Majora's Mask approach and reusing many of the same assets, I hope the next mainline Zelda game will have a darker, more realistic art style akin to Twilight Princess. Well, if Breath of the Wild is going to be the franchise's template for later titles, then I'm hoping Nintendo addresses to the weapon durability. I'm all up for challenges that challenge my strategic gland and I did enjoy BOTW enough to call it amazing, but its weapon durability system did not sit well with me. I can't even stress how much weapons I had to sacrifice to kill an enemy and the bombs can only take you so far. I did manage to beat the game and the Champion's Ballad DLC, though. Trial of the Game Overs can go waste someone else's time. Hardly a surprise. I'm sure they're always working on the next Zelda. There could be a 2D Zelda in the works. I'm hoping they're not gone. The next 3D Zelda must be years away and we will need something in the meantime. @Devlind No. I dont have the financial situation having recently left university (almost) emptyhanded. No degree but a certificate and lots of debt. Sadly I have a product now on indefinite hold after my mother was diagnosed with a lifelong illness called fibromyalgia with no cure, only pain management. So she is out of work and I cant take the financial risk to start a studio with the student debt over my head, so I need a part time job while effectively putting my ambitions on hold to care for her, her pain and lack of mobility, and my infant sister. @YummyHappyPills Well, that's a bummer. Hope everything goes ok.
@StephenYap3 I would argue that the weapon durability mechanic added a huge layer of strategy to the game because it forced you to use certain weapons in certain situations and save them for the right time to have a competitive edge i.e. using fire weapons in cold climates to instantly vaporize enemies, using long spears when you need to keep your distance, etc. It kept you on your toes when a good weapon would break and made the combat quite varied. I still at the Beginning part of Zelda BOTW. Still pretty hard for me as a Newbie of Zelda games. I haven't played it since 5 months ago. @YummyHappyPills Yeah, don't worry, I was just curious. And well, you probably shouldn't worry too much about what other people could think if you have all of that on you. @Anti-Matter Well, you aren't gonna get out of that if you don't play it. @StephenYap3 I played Skyrim and after BotW, I can say I miss the durability mechanic. Way to many weapons become useless after you get better/enchanted versions of the very same item. BotW make most weapons useful since all of them wear out. Sure, I would like a way to repair my weapons before they break or enchance them with more power/durability, but at least the Powered Master Sword only needs some time to recharge and the Champions weapons are fairly easy to get again. @Yamyum I just hope the next 2D Zelda isn't a downgraded game for smartphones. I bet the next Zelda comes out before Final Fantasy 7 Remake. Square Enix just recently was hiring for a Battle Planner so FF7R is looking like the videogame version of Brian Griffin's novel. Not surprising considering it is patently ridiculous to only have 1 Triple A Mario game and 1 Triple A Zelda game per console cycle. @TheLobster Hahahahha, happen to me a few times, but I did not died because of it. Please be a darker version of BOTW, like Majora' s Mask was to Ocarina of Time. That would be so amazing. I want BotW gameplay with WW graphics/characters. I’d love to see another top down Zelda game especially if it’s closer to A Link Between Worlds than Tri Force Heros. Yeh, that is fine. Now bring on the Skyward Sword port. All I wish for is the story of 10000 years ago to be told. They have character models, the outline of the story and a world that would look wildly different if populated. Please Nintendo, tell that story. Give that legend life. Still geeking out that BOTW tells 3 stories at one time. They are really only falling behind this gen.
Why do I bring this up? 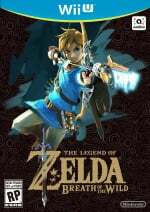 Even though Zelda may not have more than one main series game in development at any given time, they almost certainly have one in development at any given time. I have a total confidence in them. They gonna create a perfection as every past Zelda games. Make it as different from Breath of the Wild as possible. More open-world Zelda games would be good, but I think it'll soon be time for a proper top-down Zelda. A Link Between Worlds was an excellent return to that style and a joy to play; Tri Force Heroes was also a thing I guess, but I don't count it as a traditional Zelda game. They already told us the next one was in early development. I know this was probably confirmed a while ago but.. another Zelda? Woah. Already? In other news, I just rediscovered this account and will be using it in the same style I did in 2015. Hey. I’d want something still fairly open world, but easier to skip travel to a story location, with the full complement of dungeons reminiscent of the classics. Keep the weapons durability system, but rework it so things don’t break nearly as easily this time around. That killed my interest in BOTW. I agree with the durability, that can be lost without missing it...however, I trust Nintendo to make another fabulous Zelda, their track record is perfect as far as I’m concerned. I’d love to see a bit of the “old school” cornerstones reintroduced if not only for a classic, nostalgic feel....but I think Nintendo is taking very small but profound and articulate steps in updating some aspects and elements to make it more relevant to the younger kids who may never have heard of NES (or the original Zelda )!!! Rock on Nintendo, you’re doing quite well! It's kind of like when you see the inevitable "Nintendo has already begun work on their next console" headline six months after the release of their newest one. When is Nintendo NOT working on a new Zelda game? They obviously start the next Zelda game as soon as they finish the previous one. Restarted BOTW today after losing my 250+ hour save. Man this is such a special game, can't wait to see what they do next!! @Anti-Matter: You may find, that like many Zelda fans, you prefer one style over another. Like top-down perspective, vs. 3d platformer/adventure game. An easy Zelda to get in to, is A Link To the Past. A hard one would be Zelda 2: The Adventure of Link, which is a side-scrolling platformer. Zelda 2 is often looked at as kind of a bad Zelda game; it's just hard, and a little confusing, if you don't know what to do, or where to go. @YummyHappyPills: Hope everything goes better for you, & your family. I'll be praying for your family. @Ryu_Niiyama: I have yet to own a Switch, or BotW, so I don't know specifically what you are referring to, but if 3d character models already exist in the game data, what you suggest might be a thing. I suspect, if Nintendo has another mainline Zelda for Switch, the game will probably be similar to what Equinox mentioned above: Same game engine, & such, so assets can be recycled, similar to OoT to MM. @Everyone_Else: Yeah, I'm sure Nintendo begins on the next installment of their franchises, once one is publicly available. I like Zelda no matter what, but building off the phenomenal BotW would the best. The return of traditional dugeons, a blacksmith to strengthen or fix weapons etc. If they reused the same engine, the game can probably be done very quickly. Question is, what kind of spin offs/smaller Zelda games will we get while we wait for BOTW's successor? @Nincompoop Hell, maybe a Majora style sequel to BOTW? @Devlind @C-Threep True, but do weapons truly need to be breakable to make the game challenging and combat being varied? In this department, I had more problems with weapon durability than the stickers and cards from the recent two Paper Mario games. If there was a feature where you could repair broken weapons, as well as upgrade them to your needs, then it wouldn't have been much of a problem. Regardless, I still liked BOTW and would be one of the Switch titles to recommend to a player. @Angelic_Lapras_King Yes a darker Zelda will be welcomed. I think the idea in Zelda: A Link Between Worlds is perfect. The concept of 2 dimensions of the same place, if added to BotW can doubled the content. Similar to Stranger Thing's Upside Down, the entire map will have a 2nd dark map that we can switch between. A "BoTW 2.0" more dungeon oriented and maybe showcasing a slightly enhanced story would be amazing. I would also like a more traditional Zelda though. @Anti-Matter It's a little hard at start when you don't know the controls too well, you have only three hearts and all you have to defend yourself with are sticks and easily broken bows... And then you run into the Great Plateau Stone Talus. Just remember that you don't always have to fight if you can sneak past the enemies! Link is more like a "ranger" than a "knight" in this game. Also using spears at start is helpful due to the extra range. Aonuma confirmed the BotW team were working on something else in December 2017. I'd really like to see a Zelda like Breath of the wild with 2 or more worlds/eras like A link to the past or Chrono trigger and dongeons like Ocarina of Time. The only problem is that we will never able to enjoy any other game if they deliver the perfect game. Didn't see that coming, that's a relief! Anyway, any Option to Enlarge the size of Heart icon because it looked too small on Handheld mode ? Maybe this time they'll actually hire some writers to write a proper storyline. As for the weapon durability, I don't have a problem with it per se, but with the fact that it works only in Link. Enemies can wallop on him for hours without breaking their weapons, but as soon as you get their weapons, they shatter in a few hits. As long as it is like BotW (as in not the same, but that kind of style) I'm down for it. I'd rather not have them do more top-down 2D-style Zelda games, as I'm not keen on those, but I'd be happy for the ones who love 2D Zelda if a new 2D game is on the way. BotW is still the only Zelda game I've ever loved. I've bought pretty much every Zelda game and played it, and I can't say the others were very pleasant playthroughs. Many frustrating elements and the gameplay didn't quite feel like my thing (both in 2D and 3D Zelda games). BotW though opened up the world of Zelda to me. Heck, I spent like 2 weeks after finishing the game the first time reading up on every single timeline theory etc... Before replaying the game in its entirety again. 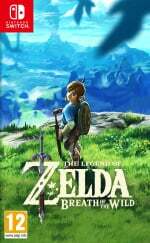 So more games like BotW would be amazing. @StephenYap3 I would say yes, specially at the beginning of the game (late game you have way to many strong weapons that you care so little about it unless you want some style points for destroying a Lynel in less than 30 seconds), but our views may differ. No really?! But seriously, maybe we see a glimpse at E3? Its very early, but maybe its not to early.